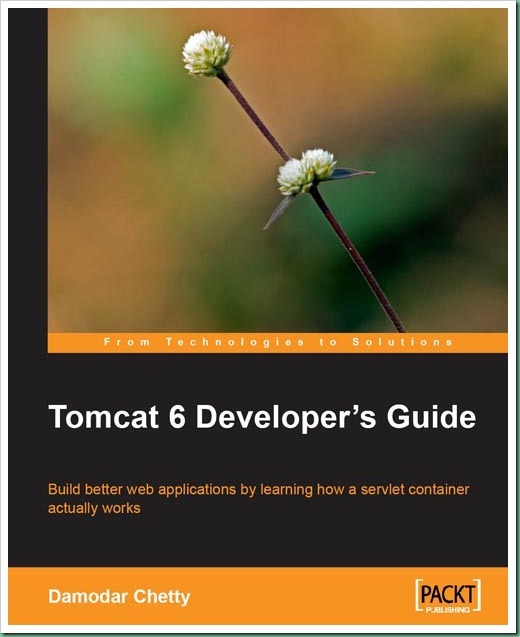 As I had mentioned few weeks back that I was sent Tomcat 6 Developer’s Guide from Packt Publishing for review and what else I had loved to read. Personally I have been working on Apache Tomcat and its different flavors including Liferay Portal Server throughout my professional career. It was a fun ride reading the things which go behind the Apache Tomcat Development and recalling few things which I already knew. This book is very well organized by the author Damodar Chetty specially when it is first of its kind on this subject. A really big help to the developers to understand the Tomcat’s internal functionality in right manner. Book starts with the introduction to the Tomcat, history behind it, brief about its functioning process, components, the installation & configuration of Tomcat plus the setting up of Tomcat development environment with development tools. This book used Eclipse as IDE and MySQL as database for the illustration of development environment. Then it proceeds with making you understand the basics of Servlets, JEE architecture, API and components, Tomcat Servlet Container & Components, lifecycle of Tomcat components and its startup process. After providing the high-level implementation in starting chapters, all the architectural components are torn apart one after other in later chapters with appropriate coding snippets. Book dwells into every component so beautifully that the overlapping between one functionality to other is almost transparent even when all components make altogether different chapters in book. Concepts like Tomcat virtual hosts, URLs and protocol handlers, Context initialization and Startup and Session security, which are generally not very clear to even advanced developers, are explained very well by the author. Although some of the core concepts are just touched or not covered like Realm, SSI, MBeans, Load Balancers but still this book facilitate proper understanding of basic functionality of Tomcat as that being the primary objective, above mentioned components constitute to advanced Tomcat topics which can be expected to be covered in future. As the different components are explained in different subdivisions of book with appropriate references to their connection with related components in other chapters, this book turns out to be more of a continuous study guide than a reference guide. So it is suggested to read this book thoroughly especially when it is written in that way. Personally I feel that this book is equally good for J2EE architects/advanced developers and administrators. Basically this book is written for progressive Java programmers and beauty of this book lies in holding the subject with that particular group in focus. Throughout the book, code examples and flow diagrams are provided where the theory starts becoming complex. This makes it easier to understand the implementation by running the code itself than just grasping the concept. Also different Tips and Tricks spread throughout the book serve as useful notes for alternate scenarios and options available. 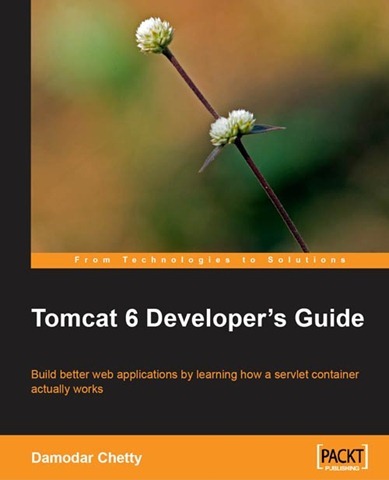 Overall, this book, Tomcat 6 Developer’s Guide, is excellent resource for understanding the Apache Tomcat inside out. A book describing what actually happens when a particular configuration change is made than just talking about the configuration options, how Tomcat components are inter-linked and how their individual configurations affect the overall functioning. It serves a brief primary architecture guide to those who are beginning to understand Tomcat and detailed structural guide to those keen on knowing its different components. Strongly recommended for all those who are willing to learn more about this servlet container. PS: Looks like that mention of this book on this blog is bound to be at the times of transition. Last time if it was Chunks, this time it is yours truly who is in between the transition!